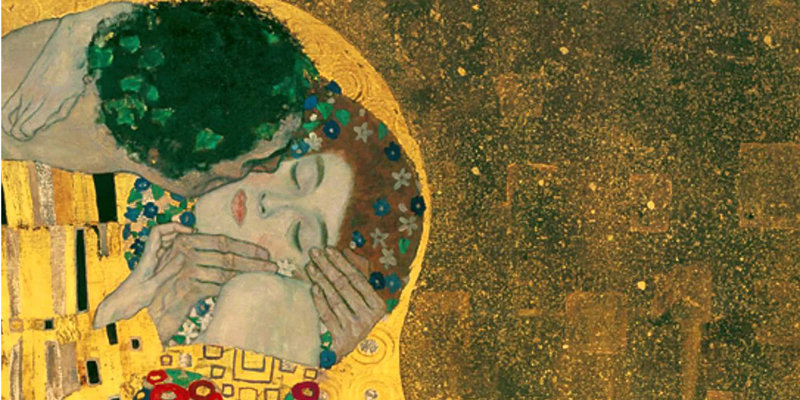 There are many beautiful and important works by Klimt, but do you know where are they housed? 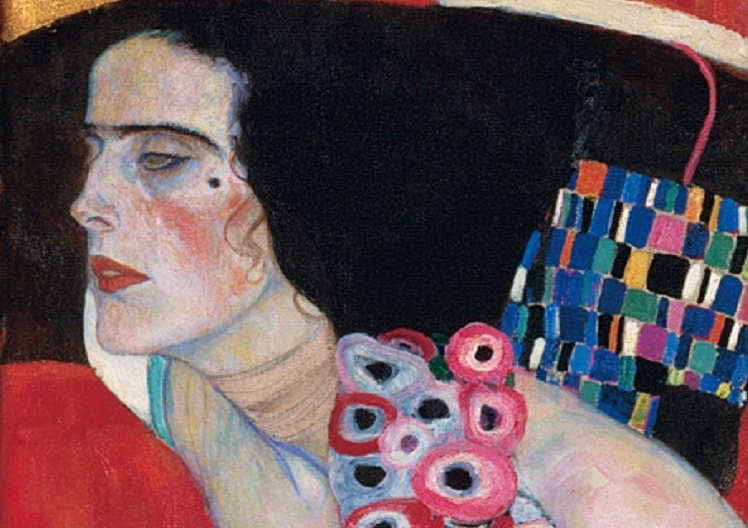 After my post dedicated to 5 things to know about Klimt, now I’ll make a list of the most beautiful works of the father of the Vienna Secession movement and the museums where you can admire them. The Kiss (1907-1908) – Österreichische Galerie Belvedere, Vienna. The Belvedere Museum houses one of Klimt’s most famous paintings, The Kiss. The work belongs to the so called “Golden Period”, that is that phase during which, drawing inspiration from the Byzantine mosaics the artist had seen in Ravenna and in Venice, gold prevails in his paintings. On the occasion of the 14th Vienna Secessionist Exhibition Klimt painted on three walls of a room one of his most intense masterpieces, the Beethoven Frieze. It’s an interpretation of Beethoven’s “Symphony No. 9” and the best words used to describe it were said by Klimt himself, who described his masterpiece the search of man for happiness which can be found only through art. The Beethoven Frieze can’t be moved and for this reason you can admire it only in Vienna or through a life-size copy made for temporary exhibitions abroad. This is probably my favourite painting among Klimt’s works, because it describes the three stages of age every woman goes through. Looking at this work you feel conflicting feelings: tenderness and sadness about the time passed too fast. The painting was bought by the Italian Government in 1911, on the occasion of the International Exhibition held in Rome to celebrate the Unification of Italy, entering soon the National Gallery of Modern Art of Rome collections. Judith II was exhibited at the 1910 Venice Biennale, which had given the artist the opportunity to arrange a one-man exhibition featuring 22 works. 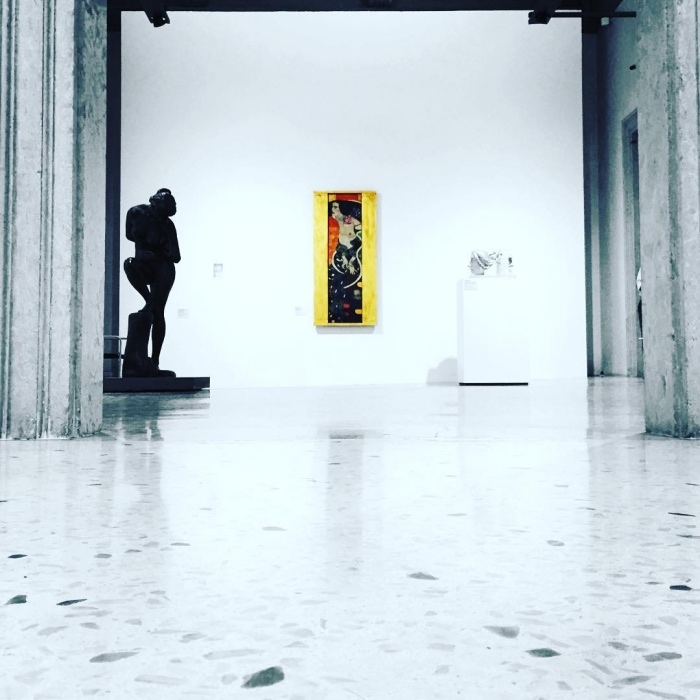 On that occasion the Municipality of Venice acquired the painting to put it on display in the International Gallery of Modern Art collection (which is now located in Ca’ Pesaro). 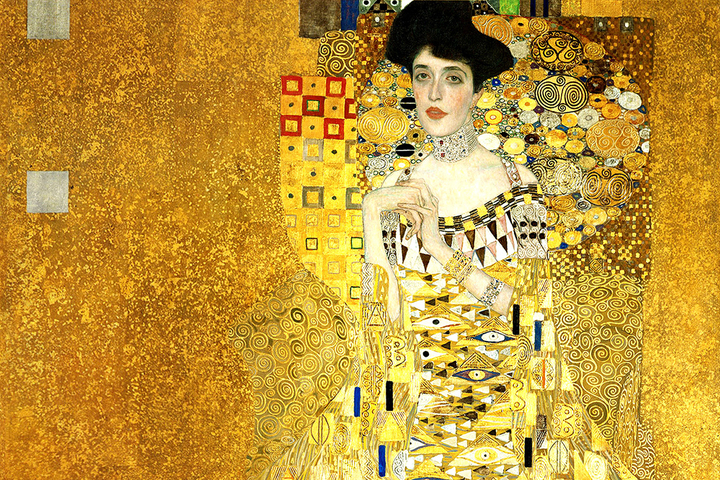 Among Klimt’s works this painting is the triumph of gold. The woman portrayed is Adele Bloch Bauer, a woman of Viennese high bourgeoisie who was transformed by the artist into a goddess wearing a lavishly decorated dress. In fact, the painting was stolen by the Nazi during WWII, and only decades later Adele Bloch Bauer’s niece called for the return of the artwork to the original owners. Afterwards the portrait was bought by Ronald Lauder in 2006 to put it on display in the Neue Galerie in New York, where is still on exhibition. Read the presentation about Neue Galerie collection.